Randy Jackson is a bassist, playing with such bands as Journey, *NSYNC, and Celine Dion. He was VP of A&R (artists and repertoire) for Columbia Records, and then held the same position at MCA Records for four years. But he is best known for being a judge on American Idol, sitting with fellow judges Paula Abdul and Simon Cowell, and later Jennifer Lopez and Steven Tyler. No relation to Samuel L. Jackson, despite misinformation to that effect. 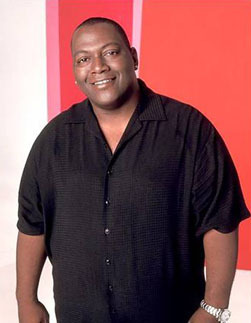 A different Randy Jackson is Michael Jackson's brother.